If our eyes are the windows to our soul, then our eyebrows must be the frame. People have been OBSESSED with eyebrows for the longest time; haven't you noticed the amount of talk garnered in recent years? 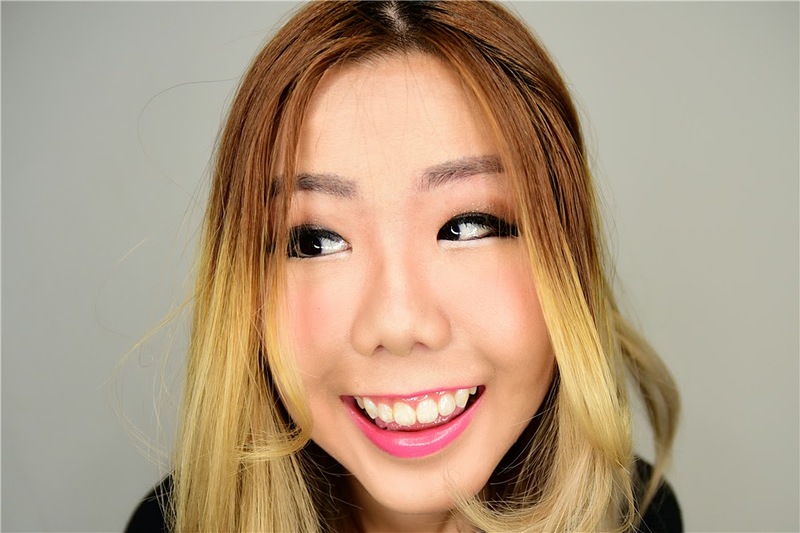 Just look at the long list of tutorials showing us how to achieve the perfect pair of brows, readily available from all over the world. There is a constant demand for the perfect bush in this looks-obsessed society. Furthermore, are you aware that your looks can totally transform dependent on how you draw them? Yes, it is AMAZING; maybe that is why this hot topic has remained on the top, with no signs of budging. Watch out, mah eyebrows on fleek! Needless to say, my eyebrows are one of the features I dread drawing on a daily basis. 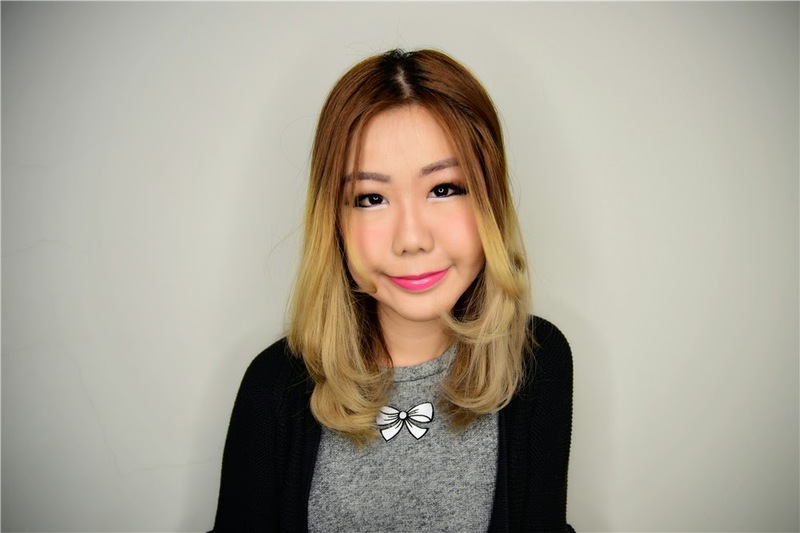 I go for eyebrow threading regularly to keep my brows in shape. Although I am blessed with a set of natural thick brows, but despite that, I have no idea why it STILL appears sparse-looking on pictures. That is the reason why I never forget to fill in my brows, even when I am running late. Sadly, I have never once drew them till both are on point! Because of that, I'd honestly been playing with the thoughts of giving eyebrow embroidery a go for the longest time. 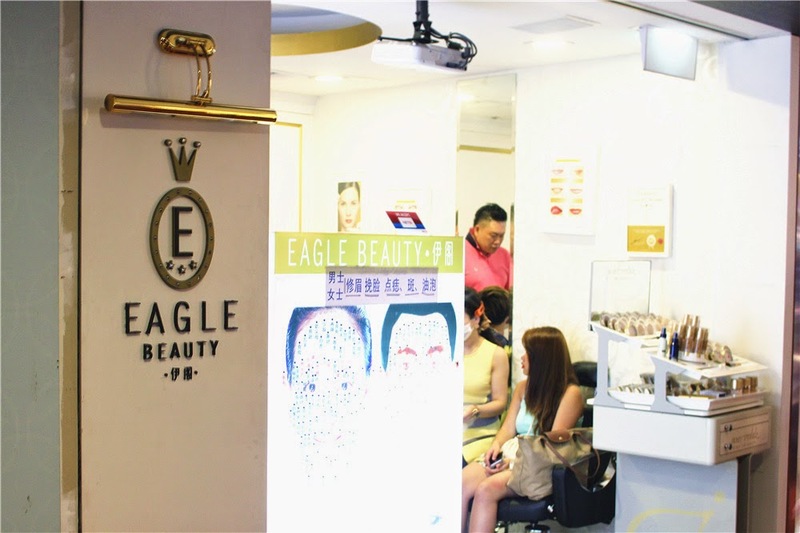 Luckily for me, I had the opportunity to try the World's 1st 6D Eyebrow Embroidery at Eagle Beauty! The 6D technique introduces more strokes to produce a much natural looking end result. With more than 30 years of experience under their belt, I don't see why I shouldn't go for it. Especially more since it is not available anywhere else in Singapore. I jumped in on the opportunity as soon as I was told about it! Eagle Beauty has a whole list of outlets you can visit. They also offer other treatments like facial, hair removal, lip embroidery, mole removal, etc. I made an appointment with them at their Chinatown Point outlet. It was a cozy area hidden in a corner of the mall, nothing too fancy, filled with staff eager to up their craft. 1) I was assigned to a lady responsible for me during the entire eyebrow embroidery process. She examined the state of my current eyebrows and facial shape before we discussed on the style I would go on to take. Thankfully, she was nothing but patient with my demands. I would have probably flipped a table if I had to serve a customer like myself, hahaha! 2) We agreed on the Korean-style eyebrows. Thick and straight, the way I've always fancied it. 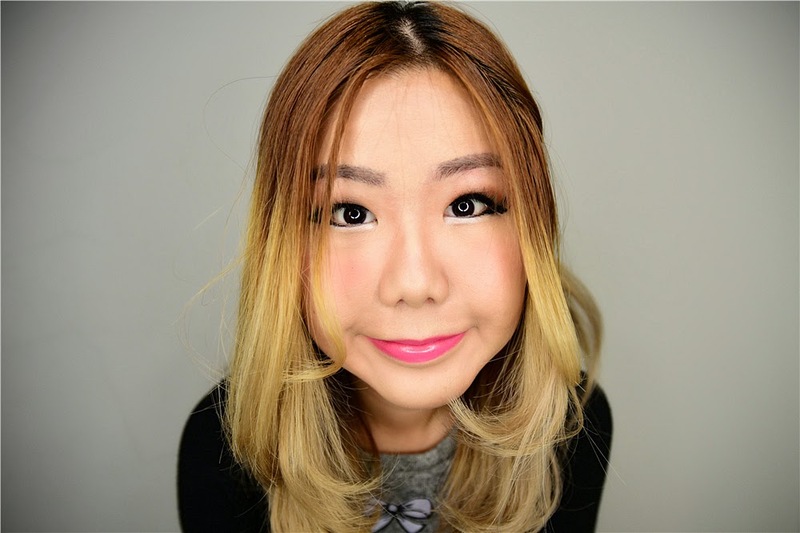 Furthermore, it makes me look younger and is perfect to frame my huge fishball face! 3) The lady started to trim my brows and filling them in with eyebrow pencil to prepare for the procedure. A lot of adjustments were made before I agreed on the final shape. Afterall, eyebrow embroidery can last me for as long as a year! 4) Getting ready for the procedure, a numbing cream was applied on my eyebrows for around 10 minutes. This is to let the numbness sink in so that it wouldn't hurt that much. Equipped with a pen-shaped beauty tool, the lady added colour pigment onto my skin, filling my eyebrows with light strokes. I wouldn't say it was 100% painless - it did hurt a little - but the pain was insignificant. Before I knew it, she was done! Can you spot the difference? 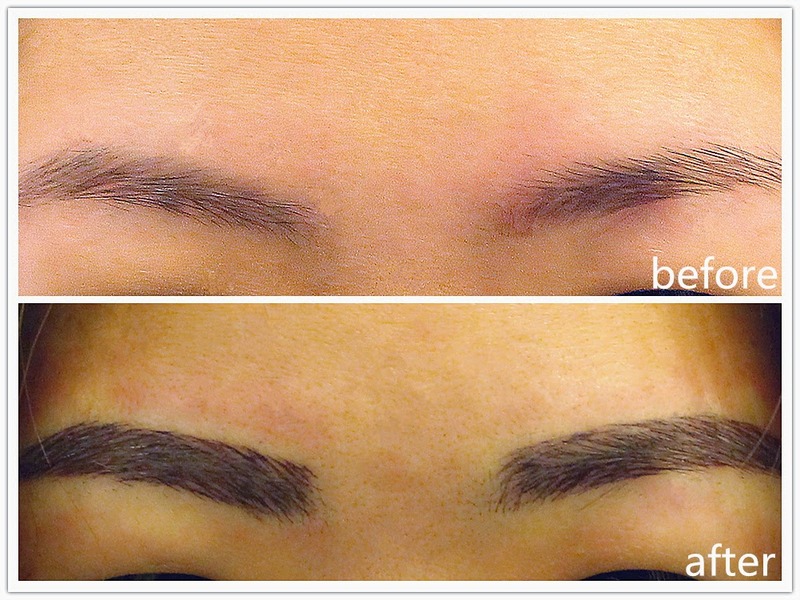 Since more strokes are introduced in 6D Eyebrow Embroidery, it creates more dimension and shadow. The results? A pair of more natural-looking brows! You're going to look like Crayon Shin-chan for the first couple of days with the fresh and strong colour on your brows. I know because I got stared at everywhere I went, lololol. But YAAAAAAAAASSSSSSSSSS I save additional time in the mornings now! Your brow area is going to itch and flaky skin is common after the session. Remember to apply the bottle of aloe vera gel that'll be handed to you to calm it down, and also to retain the colour for a longer period of time. Interested in getting your brows done? Here's a video example of what goes on behind the scenes! How much is it to do the embroidery? Hey Beth, thanks for enquiring! :) They have different sorts of embroidery so the prices varies. As mine is sponsored, I am too sure of the exact price. Furthermore, I think they're currently having promotions. Maybe you want to ring them up and ask? The price also includes touch ups!